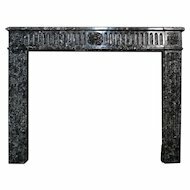 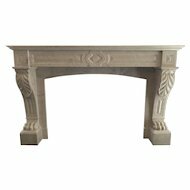 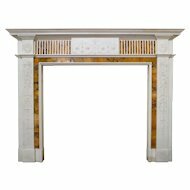 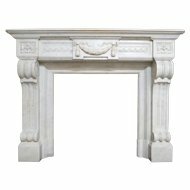 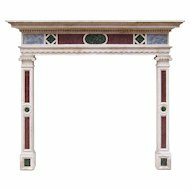 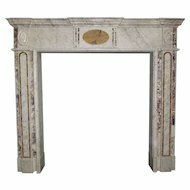 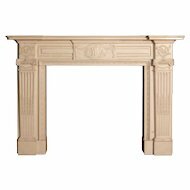 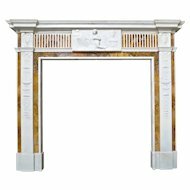 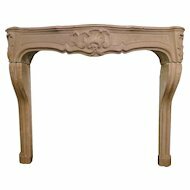 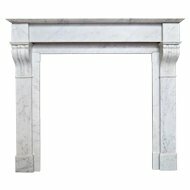 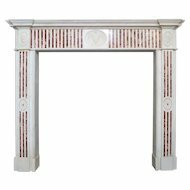 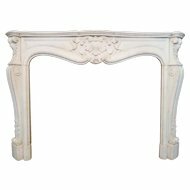 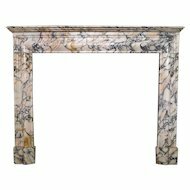 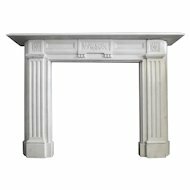 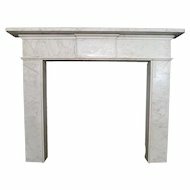 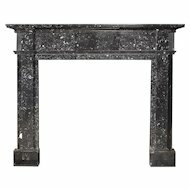 An unusual and substantial Louis XVI style fireplace in pale Italian Carrara marble. 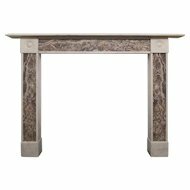 The profusely decorated console jambs, with gadroon, lions paw and acanthus leaf carving surmounted by square Paterae corner blocks. 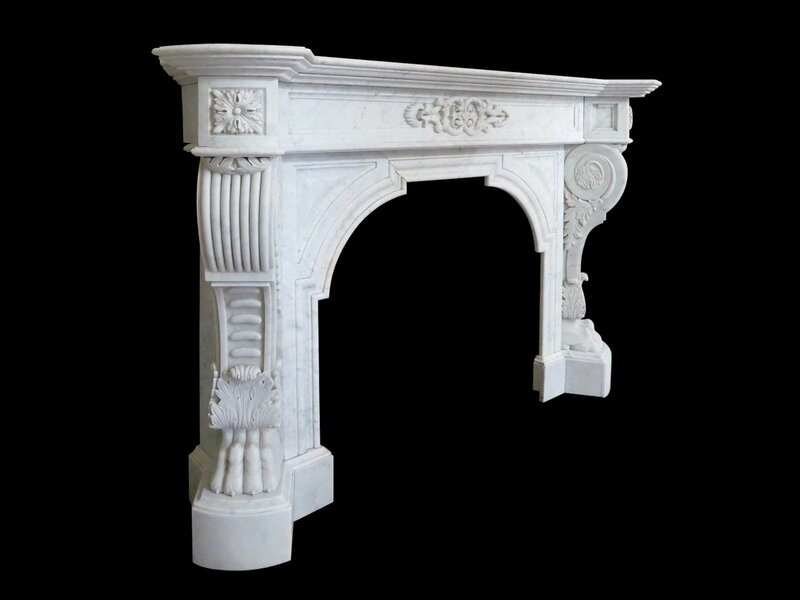 A moulded arch interior with cushion moulded spandrels. 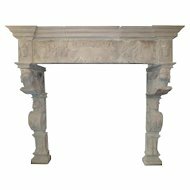 The frieze with central carving of foliage and acanthus, beneath a moulded and inverted breakfront shelf.